The “First Nations” Party is intended to become a reference to all Taiwanese indigenous communities seeking autonomy. 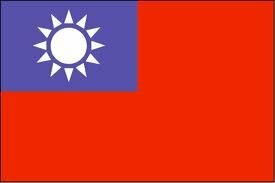 The first political party dedicated to the rights and benefits of indigenous people in Taiwan was founded in Taipei on Wednesday [12 December 2012]. The Taiwan First Nations Party was established to defend indigenous people's interests within the political system of the country, newly elected party chairman Rungquan Lhkatafatu said at the launch. The term "First Nations" refers to the fact that the indigenous people were the first residents of Taiwan, he said. "Outsiders cannot regard the land as unowned," he said. The party's first task is to seek autonomy for indigenous tribes, the chairman said. There are 14 officially recognized indigenous groups in Taiwan, with a total population of 526,000, according to statistics from the Cabinet-level Council of Indigenous People. In a statement, the new party said that although there are aboriginal lawmakers, their political ideas are usually confined to the views of the political parties they represent. Indigenous people therefore need a political organization that can speak specifically for them in the Legislature, the party said. Rungquan Lhkatafatu, who was the convener of the Taiwan First Nations Party preparatory group, said the party will select its candidates for the legislative and 2014 general elections at a later date.